Inspiring Leaders and Talent Professionals to Transform Tomorrow's Talent Today. Opening Keynote - ATD Core 4 (March 2019) Shearaton Park, Anaheim. Keynote - BEST Awards (Nov 2018), MGM Grand, National Harbor. Author of the newly released, Confessions of a Corporate Trainer: An Insider Tells All, and three other books on learning, talent and media, Halls has spoken to thousands of people at conferences and seminars around the globe. He’s authored three other books on learning, talent and media, as well as contributed to numerous books and publications which include T&D Magazine, Learning Solutions, and The HR Observer. ​​​​​​Jonathan isn’t just a talking head. After all, anyone can talk about talent and learning. He has walked the talk as a learning executive, training manager, and trainer. Formerly head of the BBC’s prestigious Production Training department, a multi-million dollar a year training organization, he has consulted companies in Europe, Asia, Middle East and the U.S. in the areas of leadership, change, media and talent. As a speaker, Jonathan is smart, funny and authentic. As a seminar leader he is probing and leads interactive discussion. As someone who challenges the status quo, he makes fun of fads and buzzwords and challenges today's leaders to build a better world tomorrow by developing the talent they have entrusted to them. His professional life has balanced his interest in media and learning. 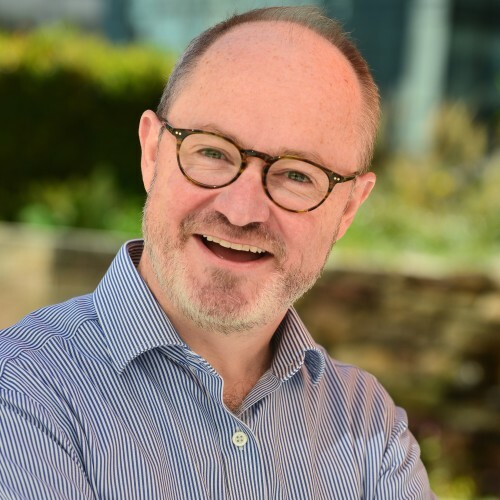 After his time at the BBC, he worked with newspapers transitioning from the world of paper and ink to digital, designing and delivering training and change management programs. Jonathan’s media work has included stints as a journalist and talk show host. Recently he was a jury member on WAN IFRA’s Digital Media Awards in Europe, Asia and the Middle East. He was also a jury member for INMA’s Global Media Awards. In 2009, he moved to the United States where he focused on corporate learning. He has been active in the Association for Talent Development (formerly the American Society for Training & Development), speaking at many of its conferences and being on the panel for some ATD Awards. Jonathan also teaches on ATD’s Master Trainer Program. Jonathan has a masters and bachelors in adult learning, and is an adjunct professor at The George Washington University, in Washington, DC. He has an office in Leesburg, Virginia, where he is CEO of a boutique training company, Trainer Mojo LLC. Jonathan’s articles can be found around the Web. He has written extensively for T&D Magazine,TrainingIndustry.com and The HR Review and more. Rapid Media Development for Trainers is one of a very few books written for trainers on how to make digital media content. What makes it stand out is that ir provides a professional workflow and shares techniques used by the professional media to make engaging podcasts and instructional videos, and do them fast. Memory & Cognition in Learning is a short primer by Jonathan Halls published by the American Society for Training & Development that explains the process of learning. It draws from cognitive psychology, neuroscience and tradition adult learning theory. Confessions of a Corporate Trainer: An Insider Tells All is Jonathan Halls' latest book. It challenges trainers to stop worrying about how they present and instead focus on the learner's performance. The book is written in a very conversation style with loads of stories to make it a teaching book without feeling like a textbook. Rapid Video Development for Trainers - A comprehensive tutorial covering every aspect of web-based video development, this book provides both the theoretical overview and the nuts-and-bolts instructions for creating professional quality video quickly, easily, and inexpensively. Video Script Writing - Do you need to create a short fast video? Perhaps it's a "How To Video" or a PR video on YouTube to promote your business. In this short book, Jonathan Halls explains why you need a script and how to write one. He explains what communication is and explores how it works in video. He then shares specific writing techniques such as sentence construction and word choice to make your short web videos quick and easy to understand. If you're winging it with your video and skipping the process of writing scripts, you are missing some real benefits. A well written script will make your video more engaging, save you time and money in production and make you or the people on camera look and sound better. Find out more about Jonathan Halls at http://www.jonathanhalls.com.